Feel free to move the spaces around. Mark off whenever a journalist or commenter on an article make complaints about a new car or updated model. 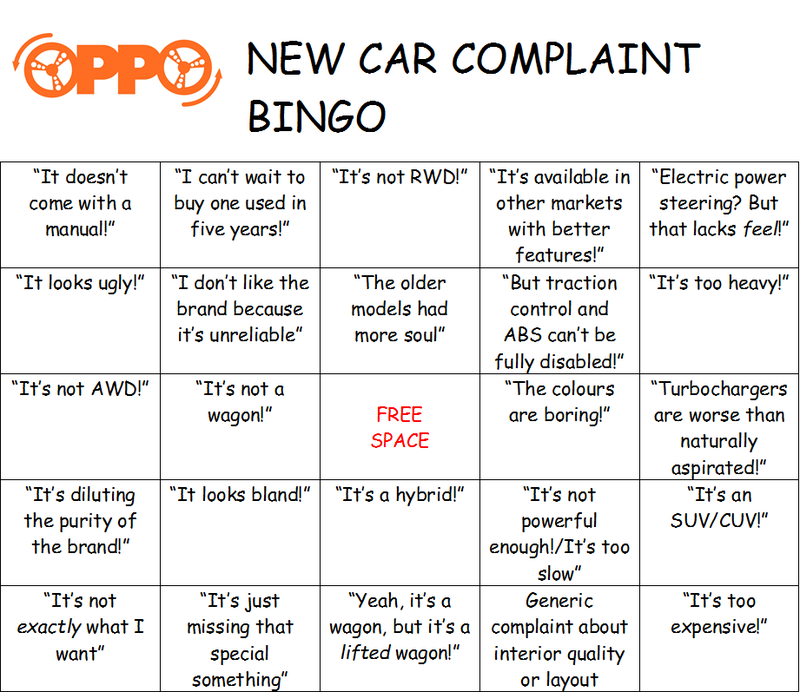 Getting a bingo means nothing except realizing that people on the internet are entitled and insufferable.